Facebook is just one example of a company playing fast and loose with a valuable competitive advantage. The UK is the cheapest stock market in the developed world. 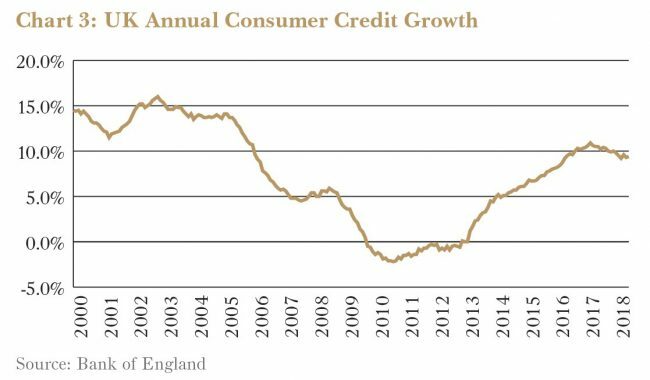 But there are risks, especially around consumer credit. Our investment thesis was wrong. But there is hopefully value to be salvaged. Smaller stock fund managers must consider not only what to buy, but when and how to build a position. Too many companies are milking, not nurturing, their competitive advantage. That might help this year’s profits, but the long term impact can be damaging. Most recently, most egregiously, Facebook has been found to be wantonly abusing its members’ trust. I almost said ‘clients” trust. But it has become patently obvious that Facebook members are the company’s product and the advertisers are its clients. Investors view competitive advantage as a good thing. Economists view it as the opposite. Think of it as any advantage that a business has that allows it to earn above average returns on capital—what the economists term economic rent. 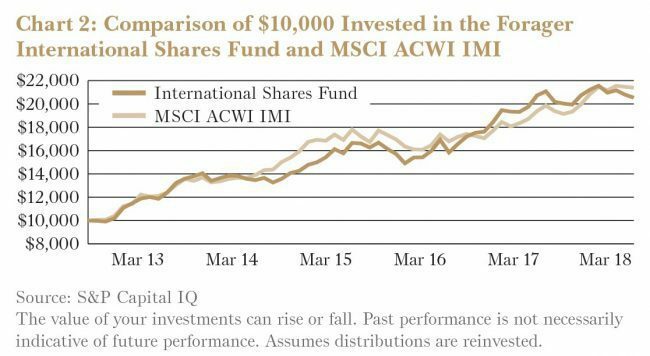 In an efficient, competitive world when one company is earning above average returns on capital, competitors invest in the sector and returns come down in the form of lower prices. Competitive advantage is simply one or more of a number of structural factors—Warren Buffett calls them moats—that stop the competition from arriving and allow a company to sustainably charge higher prices than it needs to. At the time the Facebook scandal erupted, Gareth and I were in Paris meeting with Société BIC, manufacturer of the eponymous pens, razors and lighters. With less people smoking and writing, they are facing a crisis of their own. But it is the razors side of the business which got us thinking about competitive advantage. More specifically, the many ways in which you can erode it. 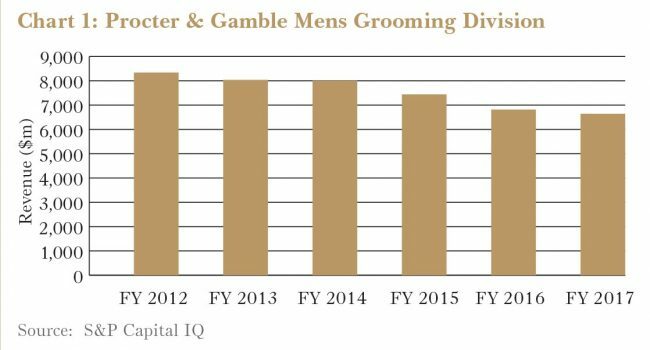 BIC’s main competitor and the industry leader is Gillette (owned by NYSE-listed Procter and Gamble). Its business model—sell the razor for little profit but charge a premium for the razor blades— is now a case study in every business school and has been replicated many times. The company itself fell in love with the concept. AS THE GAP HAS GROWN BETWEEN A CEO’S PAY AND THEIR TYPICAL CUSTOMER’S, SO HAS THE GAP BETWEEN MANAGEMENT’S IMPRESSION OF THEIR BUSINESS AND THE ACTUAL CUSTOMER EXPERIENCE. rather it’s not worth spending the money necessary to cross it. If you build a large enough pot of gold on your island, though, the competition will throw enough resources at it to bridge the moat. BIC, which was happily riding Gillette’s coattails on the way up, is now unhappily caught in the downdraft. 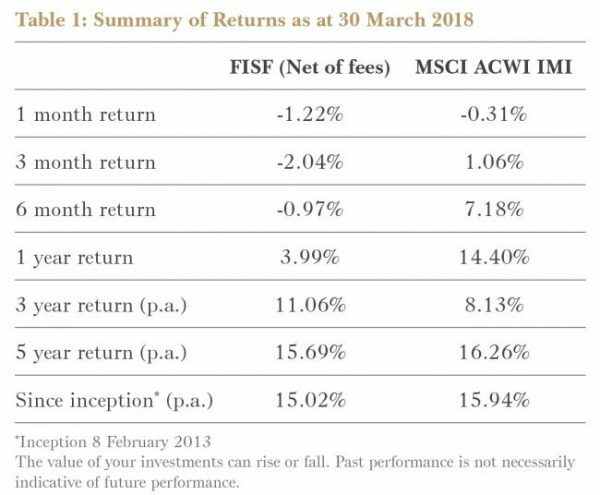 Assuming you don’t already know about it, you will notice as you read through this report that performance has been poor in recent months and, for the International Fund, relatively poor over the past nine months. Our promise is to focus on long term performance and provide commentary to you that is consistent with those long-term aims. Along those lines, until recently, there hasn’t been anything significant to tell you about. Global stock markets have been going up, and the stocks we own haven’t been going up with them. The business results reported have been consistent with our expectations. As long as those companies keep delivering results, and as long as we remain patient, opportunities will present themselves and value will be realised. It has worked for the past eight years and it will keep working in future. Short- term underperformance is an unavoidable feature of a contrarian investment philosophy. When something does go wrong, however, we will tell you about it. And that is certainly the case in the past quarter. The International Fund has suffered a significant loss on its investment in Paris-listed Technicolor, and we think at least some of the damage is permanent (see page 8). While mistakes are an inevitable part of investing, we strive to get some benefit every time we make one. Australian Fund investors might remember a disastrous early investment I made in the Tim Hughes run Photon Group (since rebadged to Enero). It was a very expensive error but one that formed the basis of much of Forager’s investment process today. Technicolor is not on the same scale, but we will take what we can from it and refine the way we do things. And, please trust us, we will tell you all about it. On a related topic, several investors expressed displeasure about our decision to cut back on the monthly reports and focus on quarterly reporting. Especially when performance is poor, it can seem like we are trying to hide something. That’s certainly not the case but we do feel you may have lost some connection with what we own and changes to the portfolio. We have heard you. From April we will revert to monthly summaries. Finally, on a sad note, New York based analyst Kevin Rose will be leaving Forager at the end of June. Kevin has been an instrumental part of the first five years of the Forager International Shares Fund and we wish him the best in future endeavours. We’ve been looking for at least one more senior resource to work on the International Fund for most of the past year. We won’t compromise in finding the right person but now have more flexibility on where that person’s experience resides. If you know an experienced value investor, preferably with deep knowledge of US markets, please put them in touch. The Fund has recently found some attractive new investment ideas among the Brexit pessimism. But caution is warranted for any business reliant on the UK consumer. Steve and Gareth recently spent two weeks visiting portfolio companies and potential investments in Paris, Madrid, London and Manchester. The UK in particular has become prospective in the post-Brexit funk. The Fund added several new positions in the past few months and other new candidates look promising. There are likely headwinds facing the UK, however, particularly their highly-leveraged consumers. We travel there regularly and a few anecdotal observations stood out on this most recent visit. Firstly, we’ve never seen so many cranes in London. The Square Mile has dozens of new buildings going up. But it’s not just a city thing. From any vista in town, facing any direction, you see a lot of cranes. Go 15 stops on the tube in any direction, more cranes. Manchester is also booming. London has grown quickly for decades. But the supply response is no longer muted. Higher commercial vacancy rates are inevitable. Second, the pushing of consumer credit products—long a feature—has reached plague levels. Small cash loans at annual percentage rates north of 1,000% sold on TV and even doorto-door aren’t new and aren’t a huge part of the market. What is infiltrating more profoundly is pay-by-the-month financing. From fridges to phones to holidays, goods and services are increasingly priced in monthly instalments. Nowhere more so than in new car financing. There are numerous listed auto dealership groups in the UK. 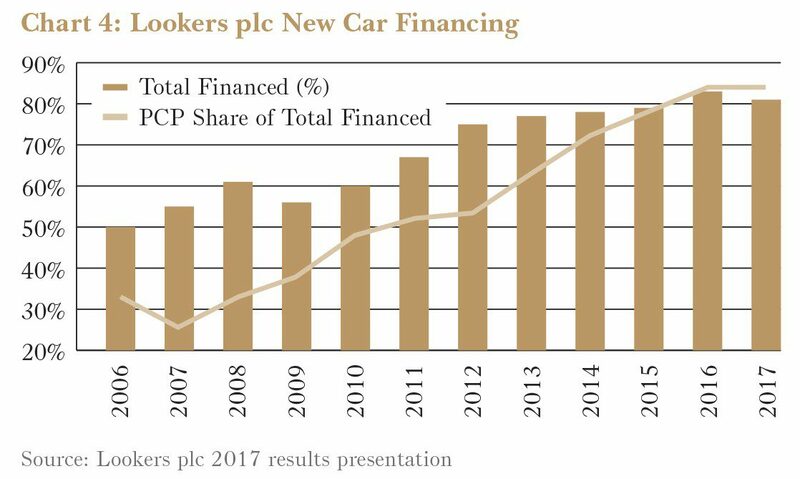 Lookers (LSE:LOOK), Pendragon (LSE:PDG), Marshall Motor Holdings (AIM:MMH) and Vertu (AIM:VTU) all own at least 100 dealerships. There are additional listed players with smaller footprints, and others with a small number of mega-sites. Our interest was piqued by the superficially cheap stock price tags—most have fallen a lot over recent years, now trade below book value and sport earnings multiples of 5-7 times. They’re cheap, but not as cheap as first glance suggests. And that gets down to financing. The most acute adoption of pay-by-the-month financing is in the new car market. A product called a PCP (Personal Contract Purchase) has come from nowhere 10 years ago to dominate. The fact it shares an acronym with an addictive drug is, presumably, coincidental. A traditional car loan runs for five years and leaves the owner with an unencumbered vehicle once paid off. In contrast, a PCP typically runs three years at lower monthly amounts, but requires a ‘balloon payment’ (equal to the expected value of the car at three years of age) for anyone wanting to take full ownership. Instead of making that payment, most consumers hand the three-year-old car back to the financier (usually the automaker) and then sign a new PCP on a new vehicle. WHAT IS INFILTRATING MORE PROFOUNDLY IS PAY BY THE MONTH FINANCING. FROM FRIDGES TO PHONES TO HOLIDAYS, GOODS AND SERVICES ARE INCREASINGLY PRICED IN MONTHLY INSTALLMENTS. NOWHERE MORE SO THAN IN NEW CAR FINANCING. Rather than financing a whole purchase, you’re financing the depreciation over the first three years of a car’s life. Rather than paying a loan off and then owning an asset, you are committing to a lifetime of financing payments. The change has been dramatic. Chart 4 comes from one of the largest dealership groups, Lookers. The percentage of its new car sales being financed has risen from 50% in 2006 to north of 80% in 2017. And that growth is entirely due to PCPs. One in three financed vehicles at Lookers were done so via a PCP in 2006. That figure is now more than five in six. While this chart is specific to Lookers’ 150 odd dealerships, the numbers for the UK industry as a whole are similar. PCP is the way new cars are now bought in the UK. Even customers complaining about not earning interest on their bank balance are opting for a PCP and paying circa 10% effective interest rates. Anecdotally, we’ve heard of cash buyers walking away from a car they were ready to buy because the dealer was so emphatically trying to push a PCP rather than a cash sale. It has allowed dealers to disingenuously advertise a new BMW as being ‘cheaper’ than a Vauxhall, because the monthly payments are lower. And consumers have taken the bait—in 2001 just 12.5% of vehicles sold in the UK were premium vehicles, today it is approaching 30%. 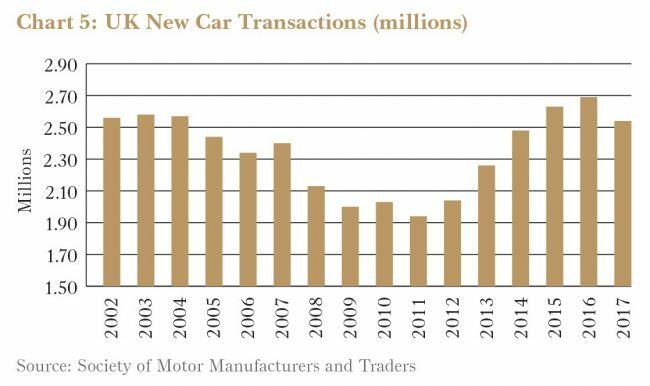 As a result, the UK as a whole is buying new cars more frequently than they once did, with a higher average sticker price, and using more interest-bearing financing to fund it all. Clearly, more of the household budget is being directed to automobiles than was the case in the past. The emergence of PCP financing has been a massive tailwind to car dealerships over the past five years. That tailwind is turning benign and may indeed develop into a headwind. New car sales are likely to fall, at least modestly, for a few years yet. Adjusting for that, auto dealers’ shares are still pretty cheap, but they might get cheaper yet. We’ve done the work and are ready to pounce. The Fund has, however, already taken the opportunity to invest in a related business that’s been lightly tarred with the same brush. It’s one of the finest business we’ve ever owned. Auto Trader Group plc (LSE:AUTO) has been on Forager’s wish list since returning to public markets from private equity hands in 2015. Continuing growth, combined with understandable pessimism over the UK car retailing industry, has put it in our buying zone. The company is an online classified for used cars—the UK equivalent of carsales.com (ASX:CAR). Autotrader started as an auto classifieds magazine in the 1970s. Unlike many traditional media players, its owners didn’t miss the transition to the online world and it became the dominant online site for researching available used-car inventory. Of the roughly eight million used cars that are sold each year in the UK, about five million go through car dealerships and the rest are mostly private deals between buyer and seller. Private sellers are usually most focused on advertising cost and final sales price, so that business has largely shifted to free classifieds like Gumtree. Car dealerships are additionally, and acutely, focused on speed of sale. Dealer 1 might sell its cars for an average gross profit (the difference between sale price and purchase price) of £1,300 while Dealer 2 might achieve £2,000. But if Dealer 1 takes an average of 30-40 days to sell its cars, while Dealer 2 takes 90 days, Dealer 1 is going to be a far more profitable enterprise. AUTO TRADER IS ONE OF THOSE RARE BUSINESSES THAT REQUIRE ALMOST NO CAPITAL TO GROW. Thus dealers are prepared to pay for eyeballs. And by a massive margin, those UK eyeballs are looking at Auto Trader. The current management team has been in place for five years. In that time, the print classifieds were shut and the company introduced a transparent rate card which reduced unnecessary friction. The group has released numerous new live data-rich products (some free, some subscription based) that help dealers manage inventory and profitability. It helps entrench Auto Trader into the whole trade. But it also helped shift the relationship with many dealers from confrontational to collaborative. Since the last print run of the magazine, the online business has grown revenues 8-10% p.a.—only about one third of this has come from price rises, with the rest attributable to new products and features and increasing penetration (more dealers putting more of their stock on the site). The business is absurdly profitable, achieving operating profit margins of 65%. The Fund bought Auto Trader on a price earnings multiple of 19 times (for the year ended 31 March 2018). A Ben Graham bargain it is not. But Auto Trader is one of those rare businesses that require minimal capital to grow—the chief input for new product development, which is done almost entirely in-house, is staff costs. These costs are fully expensed and already reflected in the profit margin discussed above. Invert a 19 price earnings ratio and the stock trades on a posttax earnings yield of a touch more than 5%. Effectively all of this is paid to shareholders—1.6% being the dividend yield and the rest via ongoing share buybacks. We’re not counting on 8-10% revenue and profit growth in future. 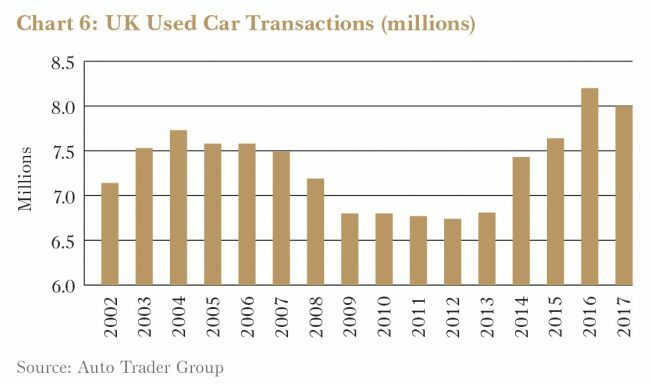 While used cars are less cyclical than new, they’re still cyclical. And any downturn that impacts auto dealers’ financial health will impact the amount they’ll spend on Auto Trader. But we expect it can grow at least 5% annually over the next 5-10 years. A 5% starting yield plus 5% revenue and earnings growth gives us a 10% annual return expectation on the Fund’s investment. There are numerous reasons to hope the investment might do better. There are several new products already developed and paid for that are yet to generate revenue. Auto Trader is a wonderful company at a fair price. 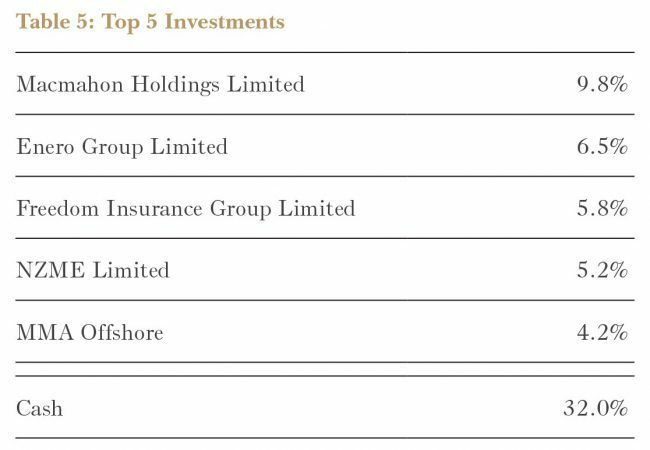 Next quarter, we’ll likely cover one or two other new UK positions—investments closer to the absolute bargain end of the spectrum. You might not have read the December Quarterly before things started to go wrong with a new investment introduced in that report. In mid February Technicolor (ENXTPA:TCH) reported an ordinary set of results and the news got worse from there. A large part of the upside was hitched to Technicolor’s visual special effects (VFX) business (editing and formatting for film and TV studios and advertising agencies). Its fourth quarter figures were poor, resulting in growth for the year of just 3%. This business should be growing closer to 10% per annum. Most disappointingly, management told shareholders to expect only “single digit” revenue growth in future, despite a “very strong” pipeline. Revenue fell in its connected home business, despite significant expenses on new contract wins in recent years. And pre-depreciation earnings from this part of the company were €80m lower due to a dramatic increase in the price of memory chips (a key component in set top boxes and broadband modems, Technicolor’s two main products in this division). Given the time required for the industry to build new manufacturing capacity, that trend is not going to let up until 2020 and Technicolor is severely restrained in its ability to transfer these costs to customers. Finally, management had previously indicated that it would sell its patent business, and the concluded deal was announced a few weeks after the result. We had a wide range of potential outcomes for the sale—between €300m and €700m—but the end result was still a disappointment. They have agreed to sell the business for €150m but keep the rights to 40% of the future profits generated. At the top end of our expectation range, the proceeds could have eliminated Technicolor’s net debt. As things stand they will put a dent in it, but not a significant one. These cascading disappointments leave us in a quandary. Our thesis was clearly too optimistic, but the share price has fallen by more than half. Blindly doubling down is not a recipe for success. Neither is selling in a panic. move quickly as more information arrives. Market conditions deteriorated for convenience store operator Murphy USA (NYSE:MUSA), highlighted by its fourth quarter earnings report. Both fuel and non-fuel related revenues grew, but store expansion costs capped operating profit growth. More concerning, management described intensifying competition and altered its new store expansion criteria in a manner that seems less disciplined and less attractive. A material change to our investment thesis, we sold out of our position with a modest gain on our investment. Alphabet’s (NasdaqGS:GOOG) fourth quarter revenue grew 24% but costs increased more than expected. Google’s burgeoning hardware and cloud businesses required elevated investment, while the growing contribution from YouTube means a less flattering profit margin. Desktop search has provided Google with one of history’s most profitable businesses, but as its importance shrinks the company is finding its newer businesses less absurdly profitable. We see the company transitioning to a new, more diversified phase and would prefer management divert more of the company’s mountainous cash balance to shareholders. disposal of private equity group Permira’s 18% stake continues to weigh on the current share price, the business is performing well and remains a core investment of the fund. 12 which is low given the quality of its assets. And we think there’s further growth in earnings to come. King’s Flair (SEHK:6822) reported 2017 revenue in line with the previous year. Sales of its reusable water bottles in China, though, grew 43%. This part of the business is small but we expect it to continue to grow and add meaningfully to profits over the coming years. Even without growth, the stock dividend yield of 11% is compelling. Real estate agent Hopefluent (SEHK:733) posted an 18% increase in sales. Costs increased faster, though, and profits were up only 11%. The company is in the process of merging its primary and secondary real estate agency businesses with those of Shenzhen-listed Poly Real Estate Group (SHSE:600048). The transaction has merits but it adds some complexity to the original investment case. Vienna Airport had a trying 2017 with its second largest customer, Air Berlin/Niki, going kaput. Management of Flughafen Wien (WBAG:FLU) did an excellent job of replacing those routes to report decent passenger growth, but with less lucrative customers. In contrast, 2018 will be a harvest year. The group upped its passenger growth forecasts to 5% at Vienna and 7% across the group (including Malta International Airport). This management team has been laughably conservative in past forecasts, so this is meaningful and clearly derived only from new routes already in the bag. Through operational leverage, net profit is expected to grow more than 10%. Although the stock is up ~50% since our late-2016 purchase, the Fund recently added to its stake. Buying and selling stocks gets harder as a fund manager gets bigger. This has already made life for the Australian Fund more difficult. But there will be plenty of opportunities to deploy the money. Providing capital when others don’t want to can be rewarding. On an average day Commonwealth Bank (CBA) shares worth $250m change hands. A $10bn fund manager can buy a 1% position simply and easily. Without influencing the price, it would take one or two days. The same manager, wanting to buy the same 1%, will take a month to reach their target weight in food and liquor distributor Metcash (MTS). What about Enero (EGG), one of the Australian Fund’s holdings? Forget the $10bn manager. A percent of funds under management would buy the whole company. Even a $1bn manager, trying to get a 1% position, will have to own 11% of the company. Trading in the open market would take close to two years. A month, let alone two years, is a long time. Even trying to buy a stock can frighten sellers off. The stock can rise quickly with few shares trading, reducing any expected gain. And then you need to get out. Selling many shares in a small stock can be easy when things are going well; excitement and higher prices will lead to more shares changing hands. But when the business is performing badly the stock will fall as fewer shares trade. Any attempt to sell may cause further falls. None of this should be news to investors in the Forager Australian Shares Fund. It is the reason we have restricted the amount of money we manage in Australia. It’s also one of the main reasons we listed the Fund on the ASX. But it is worth reiterating. First, today’s size is already impeding our ability to replicate the strategy that generated our historical performance. There isn’t much point us looking at companies with a market capitalisation of less than $50m. 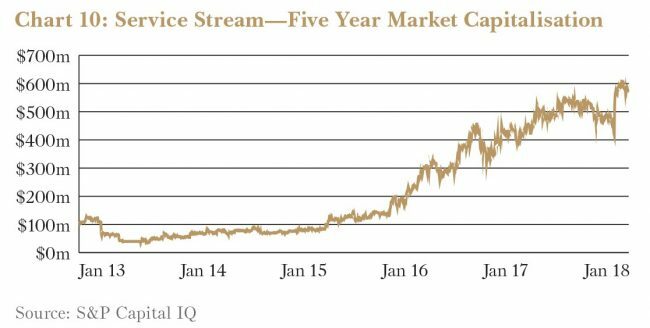 Remember that Service Stream (SSM), the Fund’s most successful historical investment, had a market cap of about $60m at the time we were buying it. It isn’t just the number of potential opportunities, but the price at which you can execute and the portfolio weighting you are ultimately able to achieve. Take contractor Decmil (DCG). After a downgrade of earnings expectations last July, the Fund was a keen buyer. Not much volume changed hands at prices we were prepared to pay though. Stuck owning a tiny 0.2% position, the Fund sold the stock for a small gain. Or newer portfolio holding 3P Learning (3PL). The Fund was able to invest in the company prior to the price shooting up—the current portfolio weighting is 1.7%. Had we had our way, it would have been at least 5% and probably higher. Our current number of shares would have achieved that when our funds under management was one third of the size. example. Providing capital when others don’t want to can be rewarding. And in distressed times larger stocks become cheap. Faffing about at the smaller end of the market actually impeded our ability to buy larger mining services companies like Monadelphous (MND) and WorleyParsons (WOR) when they eventually got caught up in the pessimism. But the issue remains: smaller stock fund managers must consider not only what to buy, but when and how to build a position. 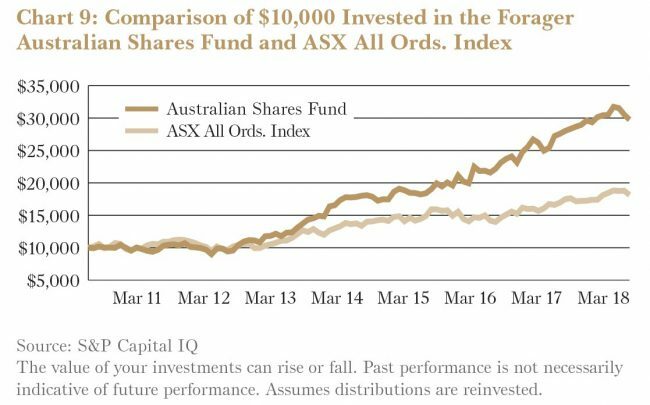 We have yet to see anyone investing $500m plus in Australian small and micro caps materially outperform over the long run. When we last wrote about mining contractor Macmahon in June 2017 the business was going through plenty of change. Having just fended off a takeover approach from rival CIMIC (CIM), shareholders then voted through a transformational deal with Indonesian miner AMNT. Under new management, headed by CEO Mick Finnegan, the company has spent the last nine months tidying up old contracts and preparing for new ones. 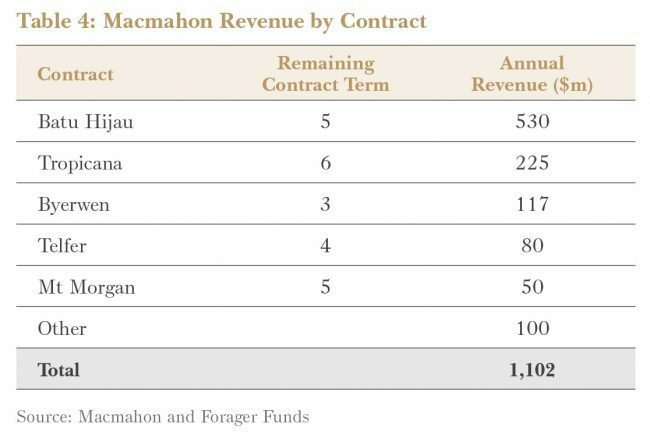 Macmahon’s largest current contract, working for Independence Group (IGO) and AngloGold Ashanti (AGG) at the Tropicana gold mine in WA received a boost at the end of last year. Initially due to finish in 2020, extensions finalised in December have seen the planned mine life increase by three years and mining volumes rise. More extensions are in the works, maybe seeing the project all the way through to 2027. After losing close to $30m at Newcrest’s (NCM) Telfer mine in 2017, there are finally some signs that this disastrous contract is turning around. A rethink has seen production increase and Macmahon’s loss shrink to just a few million dollars in the last half. The company is claiming that Telfer will be breakeven for this year and profitable next year. It will not be a game changing contract, but just seeing it breakeven will be a relief. AMNT’s Batu Hijau is the largest contract of the lot. After issuing 44% of the company to the new Indonesian shareholder in exchange for equipment and a contract for the remaining life of the mine, Macmahon has been busy taking over operations. This isn’t a small contract—over the first five years it is worth US$1.8bn. Full operations are due to begin shortly, though they have been a little delayed. When they do, the contract has the potential to contribute about half of Macmahon’s profits. Execution will be key—the company can capture the benefit of productivity improvements or, if they underperform targets, earn nothing on the contract. The business hasn’t sat still on new business development either. The Byerwen coal mining contract, worth $350m over three years, was signed in November. Mt Morgan, another gold mining contract in WA, was signed in December and is also ramping up. It’s worth $250m over five years. Further wins are likely. Recent wins in WA and Indonesia have grown the small underground mining business. Acquiring TMM Group in February has also pushed the business into civil work for mine sites, which fits in well with Macmahon’s other services. compared to some other mining services businesses: it doesn’t have to constantly win new work. For the next four-odd years, Macmahon has a lot of committed revenue. on equipment (including $183m of gear purchased from AMNT using shares), compared to only $27m last year. More capital expenditure will be needed for current and future contracts. Despite having people and expertise, Macmahon remains a business where capital expenditure on mining equipment is critically important. Spending on gear to grow is easy when times are good. But picking difficult contracts, or executing contracts poorly, can destroy profit margins and even cause losses. Telfer is a good reminder of what can go wrong. Macmahon needs to be careful. By next year Batu Hijau and the two new contracts will be contributing earnings for the full year. If it executes well, without any new contract wins, the business should be generating close to $1.1bn in revenue and more than $85m of earnings before interest and tax. At the current price the business is trading around seven times after-tax earnings. 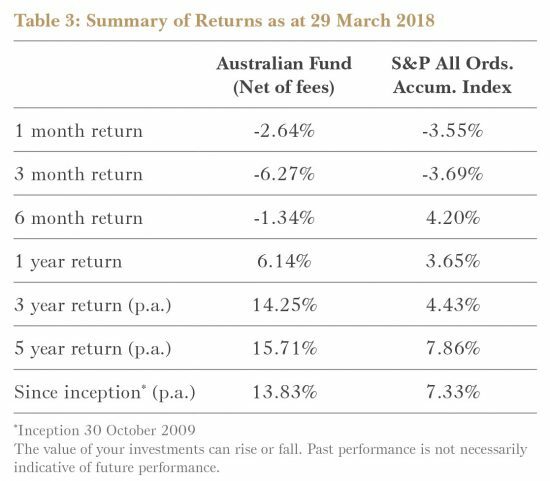 Macmahon remains the largest position in the Australian Fund. NEW CONTRACT WINS, PAIRED WITH EXTENSIONS OF EXISTING CONTRACTS, HAVE LEFT THE COMPANY IN A FORTUNATE POSITION COMPARED TO SOME OTHER MINING SERVICES BUSINESSES: IT DOESN’T HAVE TO CONSTANTLY WIN NEW WORK. investment funds? It is a job that needs doing though, and the team at fund administrator Mainstream (MAI) has been working on building a business in this space for 15 years. With $133bn of funds under administration, Mainstream is finally gaining serious scale in a business with some sticky revenue. Once a client has an administrator in place, it’s a pain to switch. And, provided it’s going well, clients are unlikely to bother. This places Mainstream in a good position: a happy client grows funds from performance, increases new flows into existing funds and launches new ones. Mainstream’s largest client and capital raising machine, Magellan Financial Group (MFG), has been a customer for years. As clients grow, so does Mainstream’s revenue. It’s not all one way of course. Bullish markets will benefit the business. Declining markets and fund closures will hamper it. Mainstream have been actively building scale. Chunky debt-fuelled acquisitions have been part of the business for a few years. The two most recent ones, Trinity and IRESS Superannuation, are only a few months old and are yet to prove themselves. Mainstream now has a reasonable presence in Asia Pacific, Europe and the Americas. It hasn’t all been acquisitions though—$12bn flowed organically into Mainstream’s hands in the last half year and the pipeline of future work looks solid. Total revenue grew 45% and earnings before interest, tax, depreciation and amortisation (EBITDA) was up 67% last half. Even adjusting for the acquisitions, growth has been impressive and automation and scale have improved margins. The company has forecast further growth. Access to cheaper financing has followed the growth. A pricey $11m debt facility, struck when the business was much smaller, has been moved to ANZ and will save $0.8m in interest expenses per year. With an earnings multiple of close to 20 times, growth is required to make this investment stack up. But current revenue is sticky and there are reasonable growth prospects. Margins are also likely to improve with further scale. It’s been a long time coming, but Mainstream finally has the ingredients required to turn the boring into the profitable. NZME (NZM), owner of New Zealand newspapers and radio stations, saw print revenue fall 7% and radio revenue decline 4%. This was partly offset by the 8% growth in digital revenue, with the New Zealand Herald website growing unique audience traffic by 12%. Cost cuts of $16m helped keep the decline in EBITDA to 2%. The launch of three online classifieds businesses, intended to leverage the company’s audience reach of 3.2m New Zealanders, will be interesting to follow. The business is highly cash generative and paid out dividends of $19m for 2017. In the last half year, sales volumes for direct life insurance business Freedom Insurance Group (FIG) were as hoped for, but profitability was slightly lower than expected. Ineffective marketing expenditure was a major factor, as was the cost involved in launching new life and mortgage insurance products. In-force premiums rose 33% while customer numbers were up 22%. Freedom also completed the sale of its investment in insurer NobleOak Life, earning a pre-tax profit of $3.3m. Sales of new products should ramp up this year. The half year ended 31 December was an eventful period for marketing business Enero Group (EGG) which acquired Orchard, a creative marketing agency. Orchard specialises in the health, wellness and lifestyle sectors and employs more than 70 staff. Enero paid $5m in cash with a further $22m in performance-based payments likely over the next three and a half years. Total revenue fell 7% and profit from operating companies rose 10%, mostly attributed to acquisitions. The business continues to be weighed down by corporate costs that totalled $2.9m for the half, reducing the EBITDA from operating companies by a third. Dicker Data (DDR), the IT distribution group, performed slightly ahead of company guidance for the full year ended December 2017 for both revenue and net profit before tax. While a locally important New Zealand Cisco contract was lost, this represented a relatively small part of the Dicker Data business and new replacement vendors were appointed during the year. The company has forecast that profit before tax from the New Zealand operations will fall 45% in 2018. But with growth expected from the Australian business, overall profit before tax is expected to rise 6%. Improved working capital has allowed the business to continue to pay close to 100% of earnings as fully-franked dividends. Another one of our portfolio positions is logistics provider CTI Logistics (CLX). The company reported revenue of $88m, up 11%, and a 10% increase in earnings per share. CTI also acquired freight business Jayde Transport for cash of $7.5m and a $2.85m performance-based payment, boosting its ability to provide interstate freight movement. With 60% of revenue coming from Western Australia, CTI is exposed to any uplift in WA activity. Meanwhile the business sits on $74m of property (at cost), with management claiming the market value of the property is closer to $87m. Finally, offshore vessel owner MMA Offshore (MRM) continued to reduce the size of its fleet, almost completing a sale program which will leave it with 28 newer specialised vessels. The higher oil price is a good sign, but there is a long time-lag between higher oil prices and the increased demand for offshore vessels. MMA has time to wait for demand to return. The business raised $97m of equity in November and restructured its debt, which now matures in September 2021 and has no covenant tests until June 2019.